Lulu group has opened the latest and newest addition to its Mall list in UAE. Lulu Group has opened the new mall at the Fujairah, UAE. Even though Mall is very common in UAE but the new mall is special for Fujairah. Lulu has planned for adding more malls in United Arab Emirates, however the attempt got bit slower in recent days and with new mall at Fujairah, it has started the proceedings. Lulu group opened its newest mall in the Northern Emirates of UAE on Thursday. 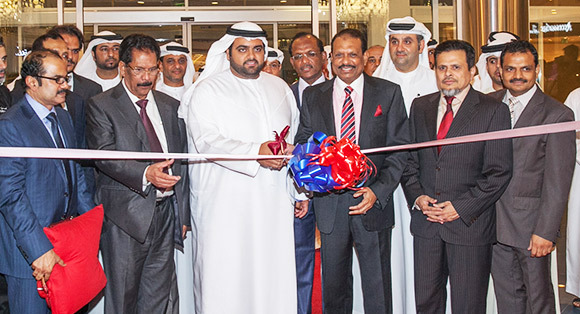 Lulu Mall, Fujairah was inaugurated by Shaikh Mohammad bin Hamad Al Sharqi, Crown Prince of Fujairah in the presence of royal family members, Govt. dignitaries, Yusuff Ali MA, Managing Director of LULU Group, Saifee T Rupawala, CEO, Ashraf Ali MA, Executive Director, Salim MA, Director of LULU and Raja Abdul Qadar, Director of Line Investments which manages the mall and other top officials also attended the inauguration, and representatives from the local business community, the company stated. The mall was built on a plot of 21 acres in the heart of the city and was provided by Shaikh Hamad bin Mohammad Al Sharqi, Member of UAE Supreme Council and Ruler of Fujairah, Lulu stated. Lulu mall is spread across 550,000 sq. ft in two levels. Apart from the presence of the LULU Hypermarket, the new mall features more than 100 local and international brands of fashion, leisure, food & dining and entertainment centres. Built on a huge area and with many more other centres, Lulu Hypermarket would surely be very popular in Fujairah. The managing committee thinks that the people of Fujairah would like Lulu and the business and the economic condition of the city would be shortly revived. Presence of the Royal Family graced the situation even more special, unique and prestigious.